Our eye trackers are characterized by highest accuracy, ease of operation and analysis methods which undergo continuous development. The foundation of our work has always been a strong relationship with research institutions around the world allowing us to incorporate latest findings from various research areas such as psychology and computer science. The core technology has been developed by our partner LC Technologies, Inc. for 25+ years. We incorporate this high quality technology into complete turnkey solutions allowing you to get started immediately. 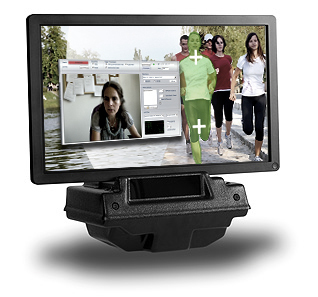 Our eye trackers work „remote“, which means you don‘t have to attach any equipment to the participants. Thus they are especially suitable for experiments where subjects should work in an unobstructed environment. 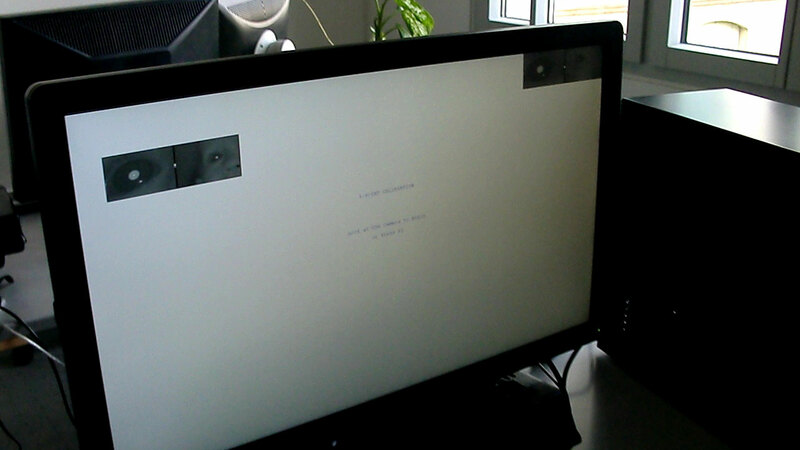 Our eye tracking systems work „remote“, it means completely contact-free. Thus they are especially suitable for research with subjects being observed in their natural work environment, without disturbing eye tracking glasses, headrests or wires. 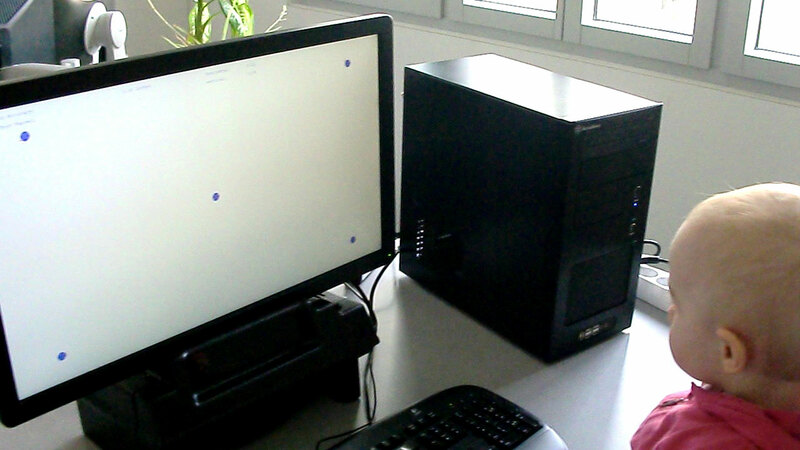 The basis of our eye tracking analyses is close cooperation with research institutions all over the world. In this way the newest insights from various fields, like psychology or IT, influence the development. There are also the experiences and suggestions of our customers from all scientific fields, which we use in our eye tracking solutions. 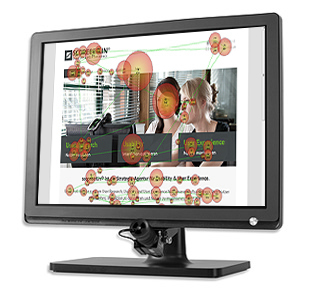 To achieve high gaze point tracking accuracy, the image processing algorithms in our eye tracking systems explicitly accommodate several common sources of gaze point tracking error. The accuracy of video eye trackers is typically sensitive to head motion along the camera axis. As the head moves toward the camera the predicted gaze point (if uncorrected for range) moves radially away from the camera, and as the head moves backward, the predicted gaze point moves radially in toward the camera. 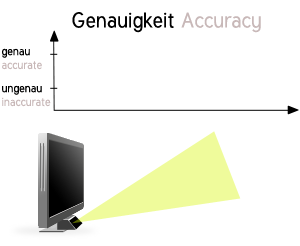 Typically, when a person is about 60 cm from the camera, and looking at a point toward the top of the computer screen head motions of 2.5 cm along the camera Z axis result in predicted gaze point variations of about 1,9 cm. All our eye trackers use the patented Asymmetric Aperture Method to measure variations in the range between the camera and the cornea of the eye, and they use the range information to minimize gaze point tracking errors resulting from longitudinal head motions. 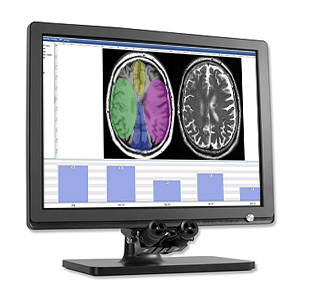 The eye tracking systems we offer produce a constant data stream to to highly accurately detect eye movements such as fixations and saccades. Reliability refers to the range of operational conditions under which our eye tracking systems are able to measure gaze point data. 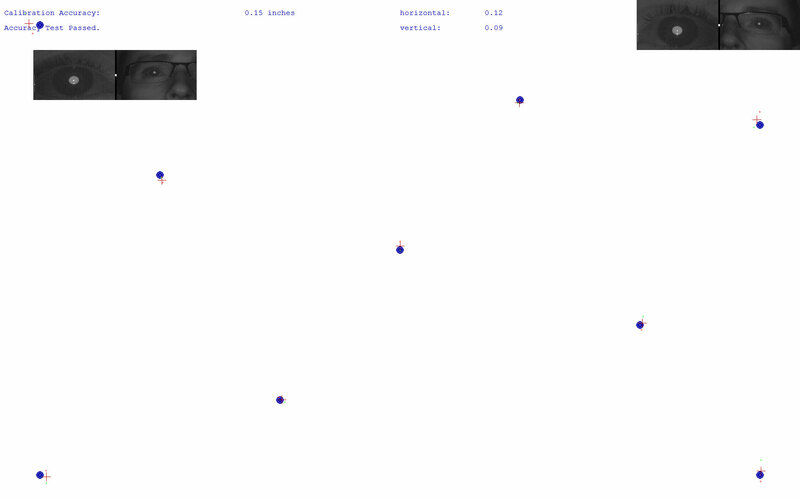 Our eye trackers work correctly under various conditions. Regardlerss of glasses, contact lenses, make-up or partially covered pupils. Our eye tracking systems accommodate a wide variation in the eye image, such as pupil size and pupil and iris brightness, and they accommodate to most glasses and contacts. The systems typically track 90 percent of the human population. Our eye trackers stay fully operative with most glasses and contact lenses as well. 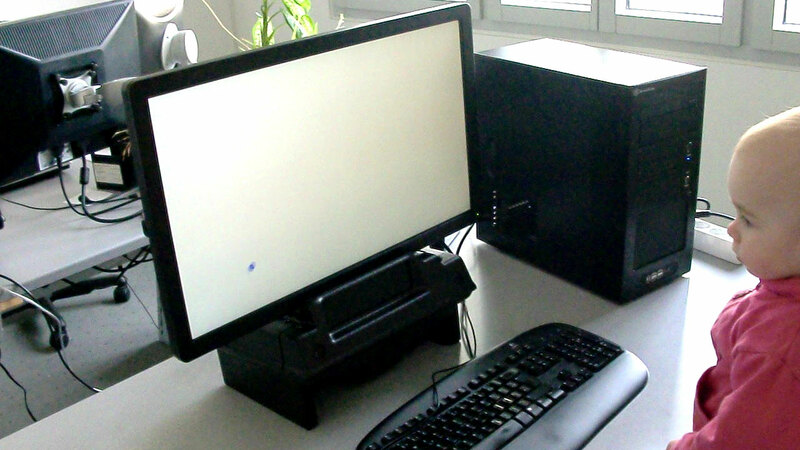 More than 95 percent of our test subjects were able to use our systems without any problems. If an edge of the glasses or a contact lens covers the cornea reflex point you can immediately see this in the live camera pictures and correct the angle of the optical system. Rather than using simple brightness thresholding methods to detect the pupil and corneal reflection,our eye tracking systems use sophisticated pattern recognition and hypothesis testing logic to detect the eye reliably in cluttered images. Our systems do not get confused by reflections off glasses, or by bright or dark facial features. Especially elderly or Asian people's eyelids cover partially the pupils. Thanks to the ‚Droopy Eyelid Compensation‘ eye movements are exactly cought, despite of incomplete pupils. With video eye trackers, the center of the pupil is not directly measurable from the camera’s image of the eye. The pupil center is estimated by observing the edges of the pupil and calculating the center location from the edge measurements. Due to the fact that the pupil lies behind the corneal surface of the eye, however, a ray from the center of the physical pupil does not arrive precisely at the center of the pupil image. When the eye is looking away from the camera, the curved cornea refracts the rays from the various pupil edge points differently. Thus as pupil diameter varies concentrically about its true center, the edges in the pupil image move non concentrically around the true pupil center point, even if the true pupil center is stationary. If varying pupil diameter is not explicitly accommodated, gaze point calculations can vary up to 1.25 cm as the pupil diameter varies between 3.5 and 7 mm. The EAS Monocular and EAS Binocular have corneal refraction compensation logic to minimize gaze point calculation errors resulting from varying pupil diameter. Many PCCR eye trackers are prone to errors when the corneal reflection is near or straddles the edge of the pupil. Pupil edge measurements in the region of the corneal reflection are unreliable, and image intensity gradients from the pupil-iris boundary distort the corneal reflection image and result in imprecise measurement of the true corneal reflection location. The EAS Binocular and EAS Monocular have sophisticated image processing software to locate the corneal reflection accurately when the corneal reflection straddles the pupil-iris boundary. The EAS Monocular and EAS Binocular use nonlinear equations to predict the gazepoint accurately from the measured glint-pupil vector. flattening of the corneal surface toward the edges. The fully automated calibration is fast (15 seconds), easy to use and long lasting for children as well for adults. The procedure adapts to the user speed by waiting for the user to fixate clearly on each calibration point before accepting it and moving on to the next point. After the original pass through the calibration points, the procedure tests that the eye was properly fixated on each point by checking that each gaze point prediction is consistent with all the other calibration points. It retakes any calibration points that are inconsistent with other points. The procedure does not accept the full calibration until the overall gaze prediction accuracy and consistency exceed desired thresholds.